The Federal Airports Authority of Nigeria has begun investigations into the case of a burgled aircraft on Tuesday. The General Manager, Corporate Affairs, Mrs Henrietta Yakubu, made this known in a statement issued on Sunday in Lagos. Reports say the burgling of a Vista Jet aircraft with Call Sign VJT 584, reportedly occurred, while it was taxiing at the Murtala Muhammed Airport, Lagos. Yakubu said a combined team of FAAN’s Aviation Security (AVSEC) department, the Airport Police Command and other relevant security agencies had begun investigation into the incident. “The team was set up to reveal the perpetrators of this act and to prevent a recurrence ,” she said. 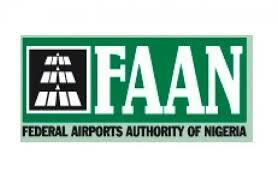 Yakubu also reiterated FAAN’s commitment to its core values of safety, security and comfort.